In a modern-day adventure of an eruption of Mount Vesuvius, a volcanologist and her son are caught up in the drama as the volcano re-awakens. The mayor is reluctant to cancel the village festival despite her warnings of an imminent eruption. Will he and the other villagers escape in time, before the explosive volcano wreaks havoc? 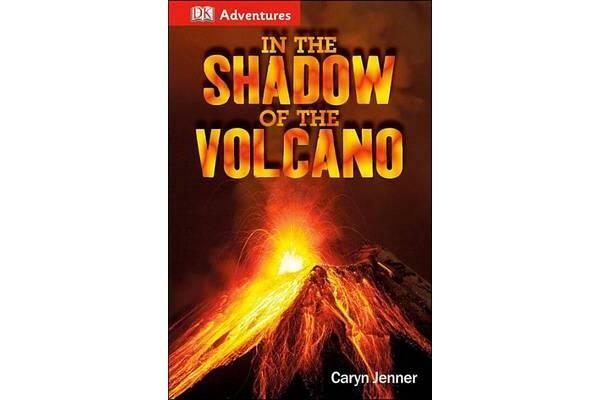 Find out in “DK Adventures: In the Shadow of the Volcano.” DK Adventures are an innovative mix of narrative and nonfiction for kids ages 8-11 featuring engaging, action-packed stories that help kids build their skills in vocabulary, grammar, comprehension, and critical thinking while developing a love of reading. With diaries, recipes, poetry, instructions, graphics, or songs, the genre spreads in each DK Adventures title enhance the story and reinforce curriculum learning, while the expansive range of entertaining nonfiction subjects will appeal to boys and girls everywhere. Supports the Common Core State Standards.